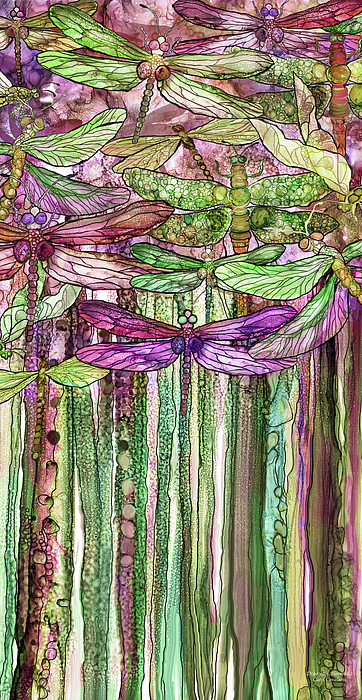 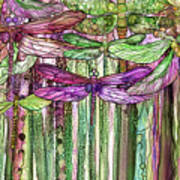 Dragonflies A wild pink and green fascination Blooming on long stems In a garden of the imagination. Dragonfly Bloomies prose by Carol Cavalaris Dragonflies on long stems in shades of rose, pink and green, growing in a wild garden. 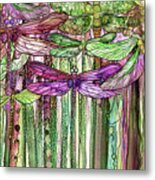 This abstract artwork is a mixed medium work created with alcohol ink on yupo paper and digital painting. 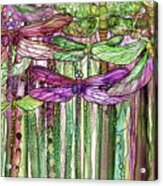 From the Bloomies Collection of art by Carol Cavalaris, this design is also available in horizontal and vertical, as well as various colors.